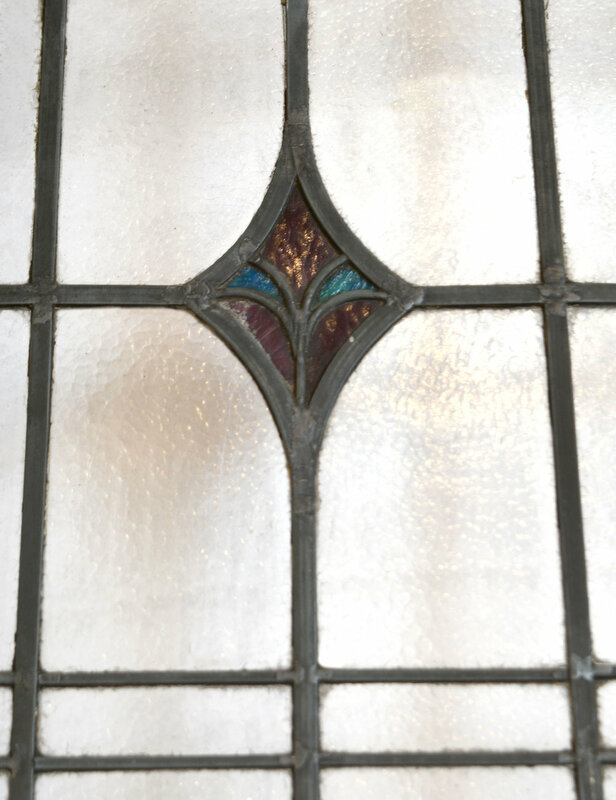 These sturdy arched stained glass windows feature a pleasingly symmetrical design and geometric yellow, blue and green rectangles throughout. A curved red and green prism rests in the middle. Two sizes are available. They are impressive in size, with the “smaller” window still standing 90.5” tall! These windows have been put into new aluminum frames, which would allow for easy installation! Be sure to include the Product ID AA#47993A when making your offer.